There comes a time in every musicians life (far down the road usually once their careers have ended or they have long since passed) where Hollywood comes knocking wanting to make a movie about the story of their lives. They typically begin as books with loads of subject material to choose from and become movies that are chopped up versions fans of the artist typically dislike. I recently saw Jersey Boys which, for those who don’t know, is based on the play which is based on the book about Frankie Valli and the Four Seasons. It was a hit on Broadway, but, in my opinion, not a great transition to the big screen. We won’t get into that. But, Jersey Boys got me thinking: What are some of the best music biopics out there? 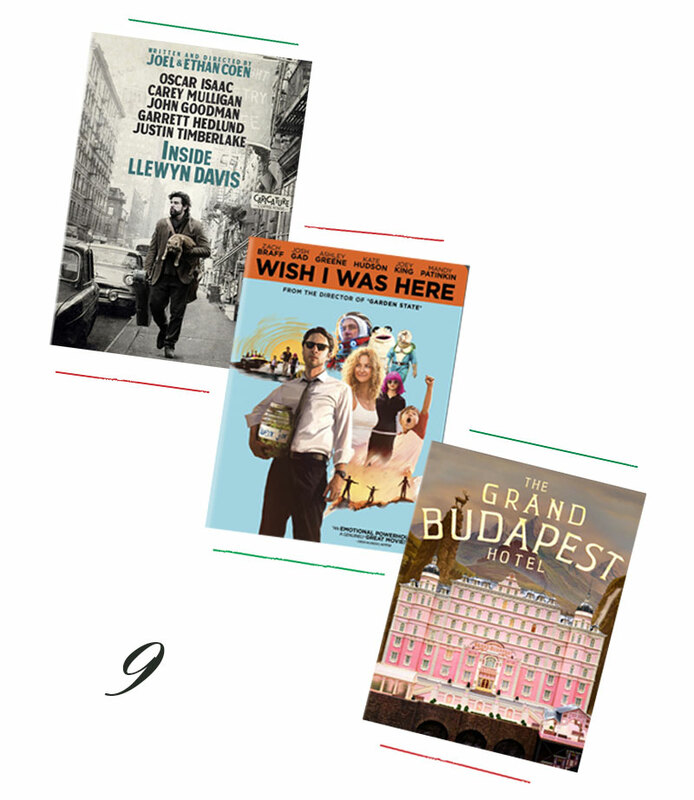 I decided I would choose five of my favorite biopics. The cream of the crop when it comes to storytelling, which many don’t seem to like. I, for one, love a good biopic. Not only is it interesting to see something based on/inspired by real events but it’s really open to the directors artistic vision. I suppose that’s why many people don’t enjoy them as much. They simply aren’t black and white in the storytelling. But anyway, here’s the ones I enjoy the most. 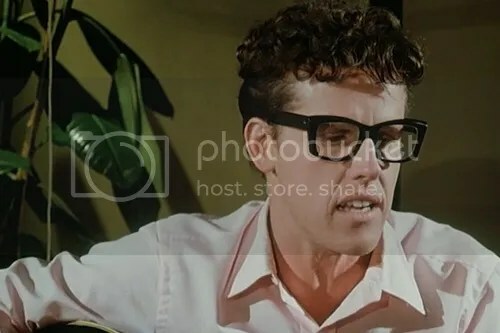 The Buddy Holly Story starring Gary Busey begins with the rise of Buddy Holly and his band The Crickets, their eventual breakup, reformation, and ends with the the untimely death of Holly. Buddy Holly’s story makes a great biopic because there’s well deserved success but a very tragic ending. An ending entirely accidental but made a huge impact on the music world. Gary Busey, not only has a somewhat strong resemblance to Buddy Holly but also sings like him. He also played his own instruments which made his Academy Award nomination all the more deserved (he lost). The film ends on their final concert in Iowa rather than on the plane crash which viewers learn killed Holly, The Big Bopper, and Richie Valens, through a simple black title card. Something which makes the Day the Music Died a fact that doesn’t define Buddy Holly or leave the viewer feeling utterly depressed. The movie is about his music and rather than focus on his death, it celebrates his legacy. The Doors are kind of legendary as far as rock and roll bands are concerned. Their story just HAD to be told and Oliver Stone gladly took on that task. Sure, the movie really isn’t all that great in the larger scheme of things. It tends to focus more on the glorified debauchery of Jim Morrison rather than the band itself which is why the name of the movie seems rather unfitting. Oliver Stone has made it fairly clear that condensing someone’s life into a movie that can only hold a viewer’s attention so long should strictly contain the greatest hits. Which is probably why at times it feels like The Doors is a time machine flying out of control. 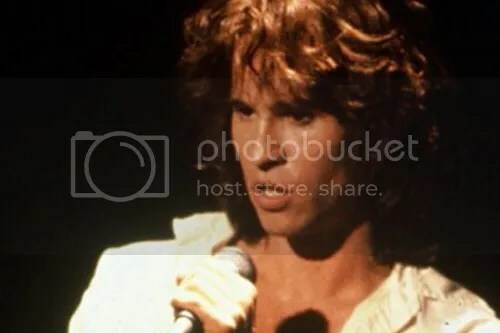 But now to incidentals: Val Kilmer portrays Jim Morrison rather well. He looks like him, and sang most of the tunes in the film himself. Even members of the Doors claimed they couldn’t tell the difference (or maybe they are just nice). It’s fairly fast paced given the almost erratic subject matter. As previously mentioned, The Doors certainly is a quickened greatest hits of Jim Morrison’s life which, when given the choice between some crappy reality show and this, I would choose this any day. 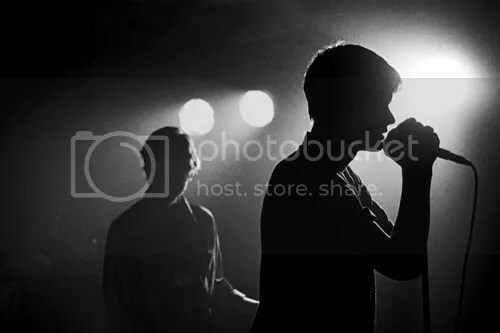 Control is centered around Ian Curtis singer of Joy Division. The film is hands down one of my favorite biopics of all time (why wouldn’t it be? He wrote one of my favorite songs of all time) even though it wasn’t well liked among other Joy Division fans. Based on the book written by his widow, Debbie, it follows the span of his time in school, the creation of Joy Division, and his finals days before his death in 1980. Control was filmed in color and transferred to black and white and is simply beautiful visually. It also manages to mix Ian’s poetry and music seamlessly throughout the film in the perfect places. One of my favorite scenes is when Curtis is put under hypnosis and the camera does a spin around his head almost mimicking the voices and images floating about inside his mind. Sam Riley plays Ian Curtis in such a way it’s almost powerful at times especially when having to act out an epileptic seizure. Unfortunately, as time ticks on and the film begins to come to a close it becomes more and more clear what tragic conclusion is coming. Whether or not other fans are happy with how Control portrayed Ian Curtis’ life and death, the film is still, in my eyes, worth watching. Not only for Joy Division fans, but people who truly just like movies. Johnny Cash has a story extremely long biopics are made for. 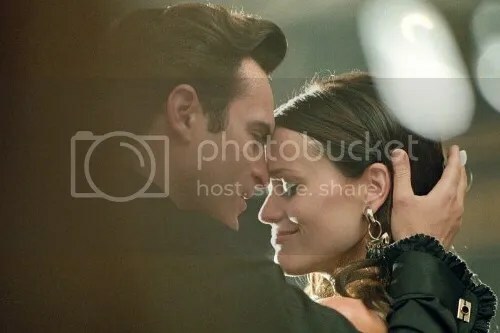 From his rise from farm boy to country star and his tumultuous love affair with June Carter, Walk the Line is entertaining from beginning to end. It’s dramatic, but at times funny and other times moves painfully slow. Joaquin Phoenix plays Johnny Cash quite wonderfully if you ask me. His singing is something I never even expected to hear from him. But Reese Witherspoon steals the show with her portrayal of June Carter and her singing voice is absolutely terrific. Yet another person who had a singing voice I did not expect. The film deserved every Academy Award it was nominated for (or won in Reese’s case). As previously mentioned it’s hard to fit someone’s life into a certain time span without missing out on things or making other things choppy, and Walk the Line manages to not do that. It’s fluid and transitions fairly well without missing anything important to the story. Walk the Line was released a long with a slew of other biopics in 2005, but stood out considerably amongst the others. 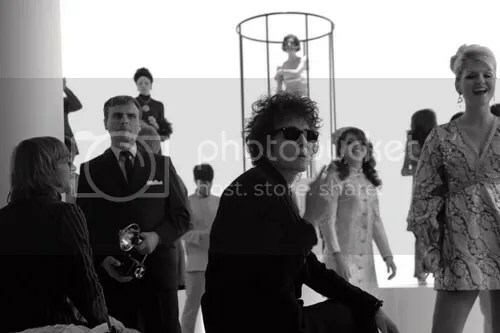 Seven different actors + seven different aspects of Bob Dylan’s personality and career = I’m Not There. My favorite biopic of time is I’m Not There. Not only do I have a fairly large love for Bob Dylan (especially 1960s Bob as many know), but it’s so perfectly made I can’t help but rave about it. There’s the poet, the prophet, the outlaw, the fake, the rock and roll martyr, the born again Christian, and finally the star each with their own segments and stories which flow effortlessly between one another. My personal favorite is Jude (played by Cate Blanchett) who most closely resembles the mid-sixties ‘gone electric’ Don’t Look Back, Dylan. Cate plays one convincing man it’s often hard to believe she’s actually a woman. She’s just that good at acting. That’s not to say the entire ensemble cast of characters isn’t perfect. From Heath Ledger to Charlotte Gainsbourg and even David Cross, everyone fits into their roles like puzzle pieces. 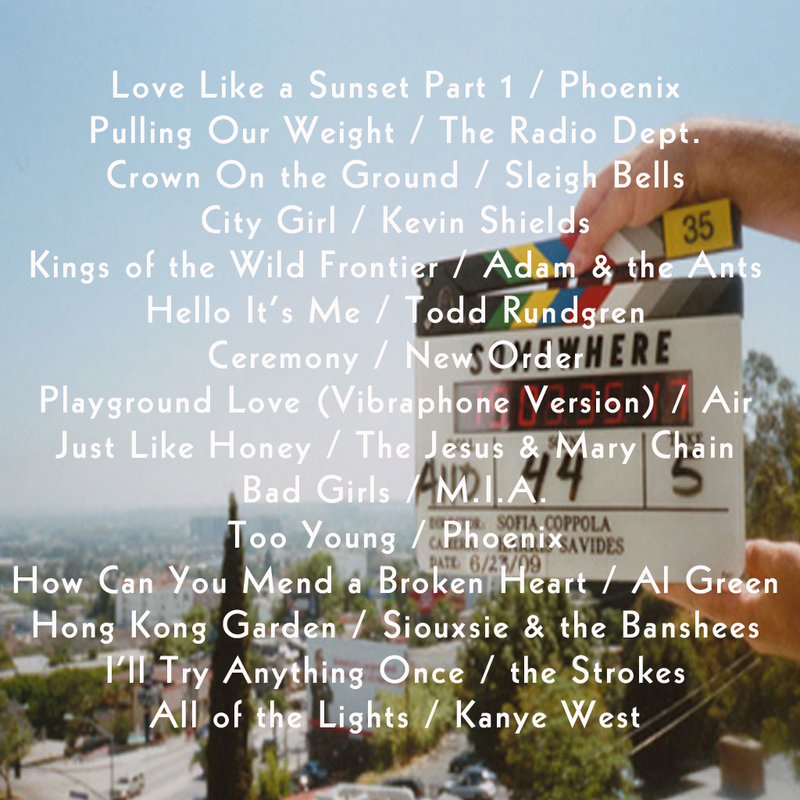 The soundtrack features plenty of Dylan classics covered by a wide variety of artists from different genres. They each manage to give Dylan’s songs a new spin. All of that said, it mainly serves to entertain fans of Bob Dylan. Even in my screening I can still recall many people who weren’t pleased with it at all, but didn’t really like Bob Dylan to begin with (why they saw it was beyond me). All I know is I thoroughly enjoyed it from beginning to end and still love watching it to this day. Posted in Films and tagged 5 Things, Entertainment, Movies, Pop Culture on June 25, 2014 by coffeeandwinter. Tonight are the 86th Annual Academy Awards, and this year, as in years past, I’ve decided to recruit my friends (and my brother) for a ballot competition. There’s literally no prize other than supreme bragging rights until next year. Last year ended up being a tie between Miss Aubrie and myself. 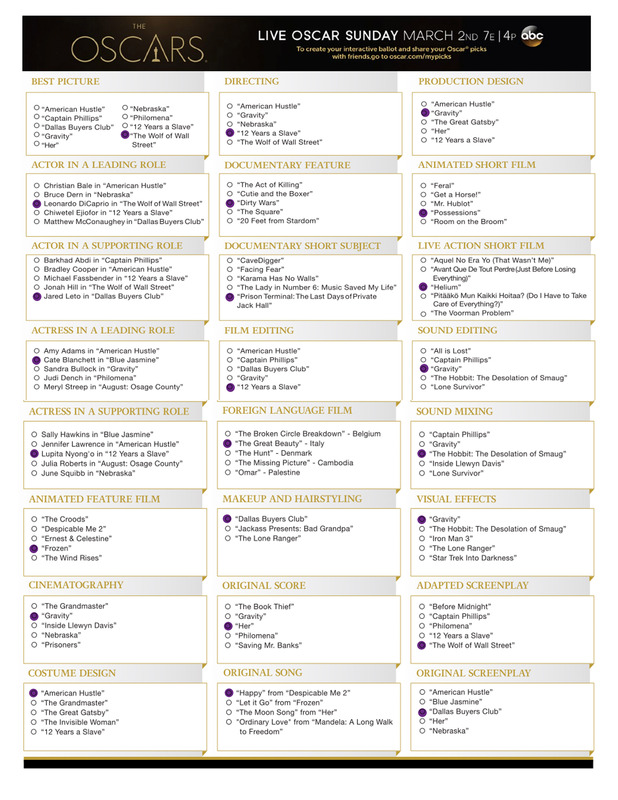 So, here’s everyone’s ballot for 2014. Good luck, and may the odds be ever in our favor. Frankie strictly wanted to vote Space Jam Best Picture after being shut out year after year. 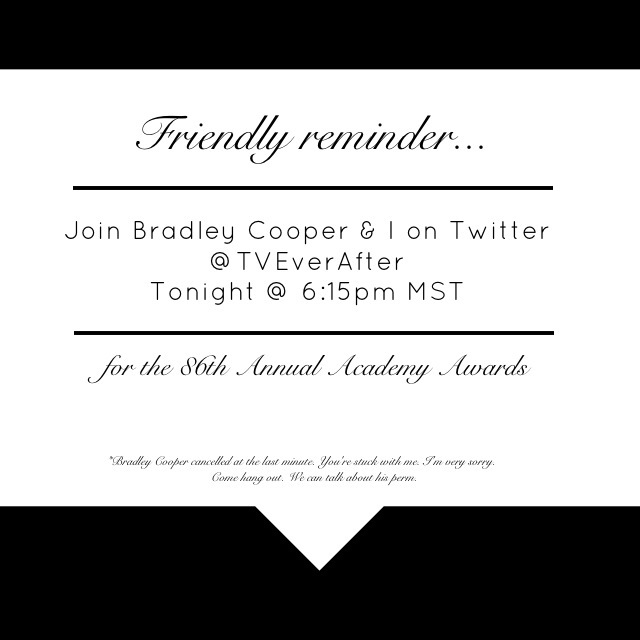 Also, if you’re going to be around Twitter tonight during the awards come hang out with me. I will be live tweeting for TV Ever After! Please forgive my terrible Bradley Cooper joke. 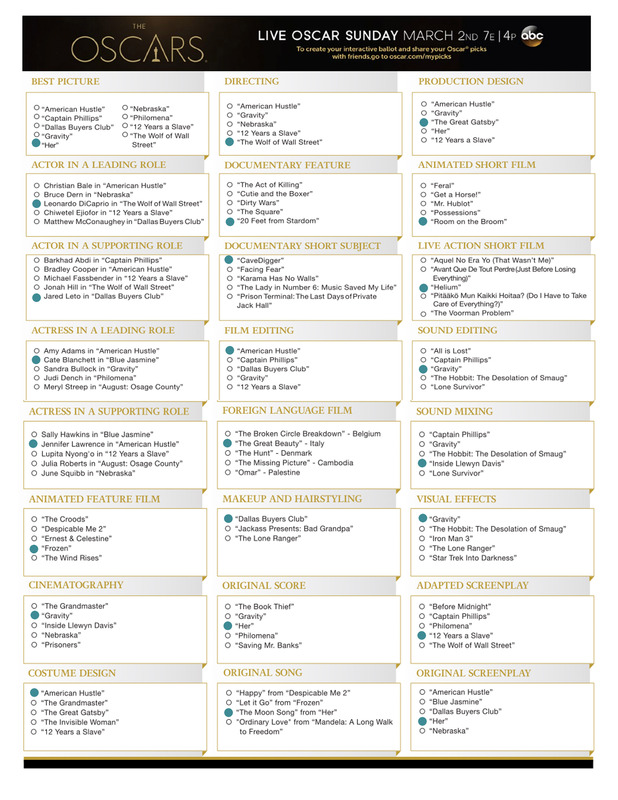 Posted in Films and tagged Academy Awards, Entertainment, Oscars, Twitter on March 2, 2014 by coffeeandwinter. I haven’t written about movies in a long while. I’m just not very good at it either so it’s really no loss. But movies are still one of my favorite things, I recently watched The Secret Life of Walter Mitty, and here we are. I loved it. The trailer left me feeling lukewarm about it. Mainly because I literally couldn’t tell anyone anything about it that would convince them to spend their hard earned money on it. So, I went it alone and I must say it exceeded my expectations. The visuals are absolutely stunning. I never knew Iceland was that beautiful. Then again I’ve never given Iceland that much thought to begin with. Ben Stiller did a hell of a job with both directing and acting in my humble opinion. Sure there are moments, like with any other movie, where things just aren’t that great, but those moments are outweighed with better ones. But how does this lead to Words to Live By? Well, the quote above said by Sean Penn’s character to Walter. For some reason those words stuck with me while watching the movie. As cheesy as can be said, every time the sun sets a radiant pink or the mountains look close enough to touch on a nearly crystal clear day it commands a sort of beauty. A beauty that exists nearly every day, but goes relatively unappreciated. I may be missing the mark entirely as far as the quote is concerned, but it meant something entirely different to me and will mean something else for another person. 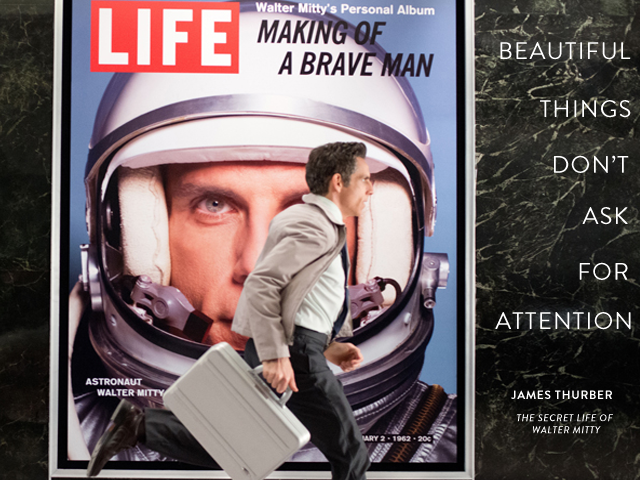 If there’s one thing I took from The Secret Life of Walter Mitty it was inspiration. Not just from the character of Walter or how he just went after life on a whim, but everything all at once. Long story short: Beautiful things don’t ask for attention, go see The Secret Life of Walter Mitty, and live life. On that note, I’ll be back later. I’m planning a trip to Iceland. Oh, and don’t forget the soundtrack is killer which I mentioned just yesterday here. Posted in Films, Inspiration and tagged Movies, Nicole reviews something, Quotation, Type, Words to Live By on January 7, 2014 by coffeeandwinter. A cartoon cowboy, an astronaut, an FBI agent chasing a criminal, a widowed dad looking for love, coach of a women’s baseball team, a fully grown child, a U.S. congressman, a train conductor, and (soon) Walt Disney. These are just some of the roles played by Tom Hanks. I’ve said it before: Tom Hanks is a national treasure. I’d even go as far as to say he’s one of my favorite actors, and I never choose favorite actors. I’d list the reasons why, but I’m sure people have better things to do today like head to a BBQ. Instead, to honor my favorite national treasure on Independence Day, I present my 5 favorite Tom Hanks roles. Trust me, this was a hard one. Catch Me If You Can is the autobiographical story of Frank Abagnale played by Leonardo DiCaprio. He commits a serious of frauds, and is being chased by FBI fraud agent, Carl Hanratty. The film has an all star cast including Hanks, DiCaprio, Christopher Walken, Amy Adams, Martin Sheen, and James Brolin. It’s an exciting film to watch, and it’s pretty fascinating since it’s a true story. Carl is ridiculed by others in the FBI because they don’t consider check fraud to be all that important. Hanratty is outsmarted by Abagnale multiple times, but Hanratty is persistent and eventually gets the man. Leo, you’ll get your Oscar eventually. Keep the faith. This one doesn’t feature Tom, but his voice, so it still counts. When I was younger, Disney movies were a huge deal. My family loved them, and we always got to see them in the theaters sometimes even multiple times. Toy Story was no exception. Toy Story was Pixar’s coming out party and they were ready to take animation by storm. Toy Story is about a group of toys who belong to a boy named Andy. They come to life when humans aren’t around, and I really don’t need to explain the plot. I’ll be honest, Toy Story is one of those series of films that can completely wreck a child. I don’t even want to bring up Toy Story 3. It can wreck my entire day. These movies are great, and the audience doesn’t even need to be a child to enjoy them. One thing I found completely terrifying at age 8 is my toys coming to life. Thinking my toys could be alive when my sister & I left the room was scary and yet completely unrealistic. It made me feel terrible about the time my sister slammed my Ken doll’s head in the door and it fell off. When I was younger I owned Forrest Gump on VHS. It was a two tape VHS, and it took 9 hours to watch. Okay, maybe not 9 hours, but Forrest Gump is a long movie. Forrest is endearing and lovable. Forrest Gump is a true classic. The music tells the story almost as much as the movie itself. I absolutely love the soundtrack. Another thing I love is Forrest interacting with old historical film reels as if he was really there. He just was a magnet for historical events. One of my favorite scenes, is when Forrest brings Lieutenant Dan ice cream. It’s hard not to say it when eating ice cream. I find myself quoting Forrest Gump more frequently than I should, and not just life is like a box of chocolates. Don’t take me anywhere shrimp is served or I’m going to become Bubba and name types of shrimp. This movie is quite emotional. At the risk of sounding like a total loser, it brings me to tears every time. Without fail, when little Forrest Jr. boards the bus to school, tears start flowing like a baby. Tom won an Oscar for this role, and it was well deserved. What? How could any movie be better than Forrest Gump? Let me explain. You’ve Got Mail is one of my favorite movies of all time. I watch this movie all the time so naturally I’m biased. I never get sick of it. Joe Fox owns the Costco of booksellers. He’s building a superstore around the corner from a little shop owned by Kathleen Kelly. She leads a crusade against Joe Fox and his store meanwhile chatting with him through e-mail the entire time. Everything seems to magically work out, and I love it. It also has an amazing placement of AOL. Watching it now even brings back the memories of logging on and waiting patiently for the man to say you’ve got mail. Unless, of course, someone picked up the phone and kicked you offline. I’m looking at you, everyone in my family in 1998. There it is. My favorite Tom Hanks roles. He’s made so many great ones it’s always hard to choose which I love the most. It’s constantly changing. Have a great 4th of July, fellow Americans. Non-Americans, have a great Thursday. Posted in Films, Thoughts and tagged 5 Things, Entertainment, Films, Musings on July 4, 2013 by coffeeandwinter. It’s Father’s Day. A day where as children we look back fondly on our fathers and all the things they have done for us and taught us in the process. Instead of doing a retrospective on my own father, I decided to take a look at my favorite movie fathers. There’s something to say about movie fathers. They always have the perfect thing written for them to say, and they always know what to do. There are plenty of fathers to choose from. There’s Darth Vader, Atticus Finch, and even Nemo’s dad, but I chose my 5 favorites. Dill is funny, and he’s always family member of the week. Then again he choses family member of the week so that doesn’t really say all that much. He raises his kids in a different way than most and it works. Rather than have cheesy touching moments there’s Dill and his humor. There’s so much I can say here but out of context it doesn’t make much sense so just watch Easy A. If you’ve seen it you get a gold star. Growing up Clark Griswold and the vacation movies were a staple in our house. We rarely took vacations, but when we did my dad used Clark Griswold as a clear model for parenting. Clark would do anything to get his damn kids to Walley World even though they protested a majority of the way. Clark takes special care in planning their vacations, and even wins a vacation to Europe on a game show. In Christmas Vacation, he wants Christmas to be perfect, a fun-filled old-fashioned family Christmas. Like any father Clark snaps when his family seems to lack appreciation for his efforts which seems to happen a lot. One lesson to learn here: If your dad wants to take you cross-country to a theme park, you shut your mouth and enjoy it. Also pray that it isn’t closed when you get there. First introduced in Knocked Up, Pete is a special father. How anyone puts up with Debbie is beyond me, so he should win an award. Pete is cool. He works for a record label, and eventually opens up his own. He provides for his family and seems to, at times, genuinely like them. What I love about Pete is his relaxed attitude toward parenting. It’s refreshing and funny since a majority of parents are more…Debbie like. According to Pete, marriage is like an eternities long unfunny episode of Everybody Loves Raymond. Instead of funny dialogue everyone is just tense and pissed off. He wants to like anything as much as his daughters love bubbles. 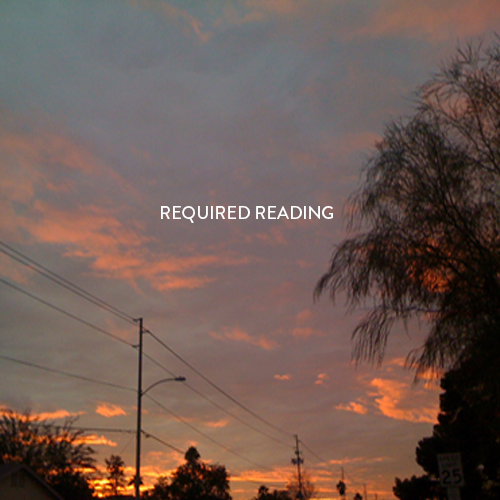 Posted in Films, Thoughts and tagged 5 Things, Musings, Thoughts on June 16, 2013 by coffeeandwinter. 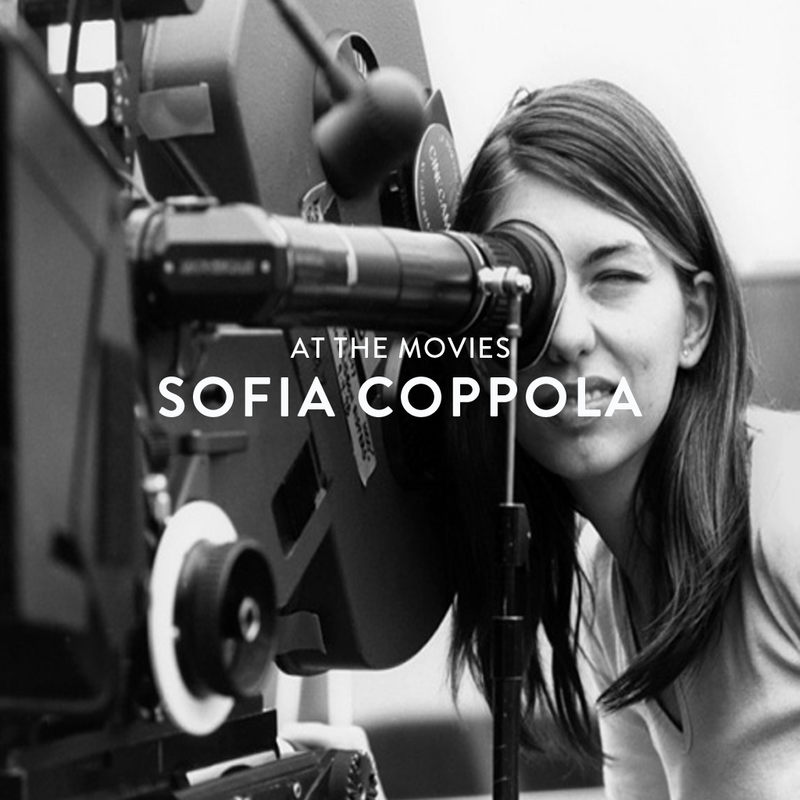 Anyone who knows me knows Sofia Coppola is one of my favorite filmmakers. I won’t defend it to anyone so don’t start any sort of argument with me please. So, in honor of The Bling Ring being released in limited cities around the country today, I thought I’d make a mix featuring songs from her movies. Trust me it was very hard to choose my favorites, but I made it happen. It’s exactly one hour long, and available for listening on my 8Tracks. Posted in Films, Mixtape, Music and tagged Mix, Mixtape on June 14, 2013 by coffeeandwinter. 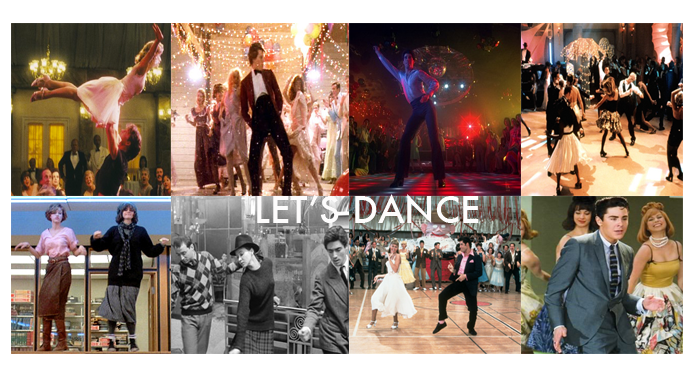 I love dance scenes. It’s just one of those things about me, and I wrote all about them for TV Ever After. To make this feature more interesting I included a playlist of the tunes that soundtrack these scenes. Think of it as a double Music Monday. Jump aboard the guilty pleasure train because it’s about to leave the station. Flashdance doesn’t appear in the original list, but someone pointed out my complete lack of it on the list. It’s definitely worthy of inclusion so here it is on the playlist. Listen here on Rdio. If you don’t have Rdio yet, you should get it. It’s free and awesome. Posted in Films, Mixtape and tagged Entertainment, Mix, Music on May 13, 2013 by coffeeandwinter. Sometimes you just need a movie night in. 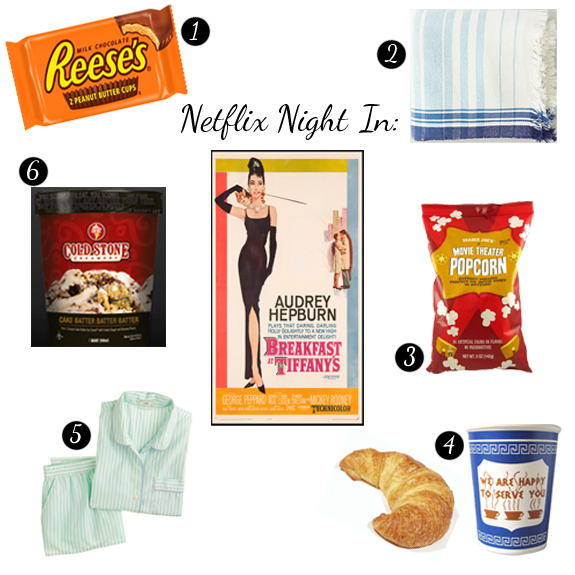 Here’s everything essential for viewing one of my favorite movies, Breakfast At Tiffany’s. Yes, I’m such a girl. Posted in Films, Misc. and tagged Collection, Entertainment, Recommendation on May 1, 2013 by coffeeandwinter. I know there are plenty of places to get your information on the internet so why listen to me? I am only going to give you the really important things. Here’s 6 things you need to know this morning. MTV announced that the teaser, or first look, for Catching Fire will premiere at the Movie Awards next weekend. I got very emotional just watching the teaser video announcing the teaser. I don’t know what I will do with the entire first look. No shame in my game. Apparently PINK is going to have their own line of nail polish. Guess that means girls on campus can now be dressed from head to toe 100% in PINK. Fortunately for me, it’s only in selected stores. Despite some of their cool colors, I think I’ll stick with my go-to brand. BIG NEWS TODAY! Arrested Development arrives on Netflix May 26th! So, poor unsuspecting users, prepare for your Netflix to not be working that day. It’s Thursday, and you know know what that means: Throwback Thursday. In case you plan to participate in the hashtag today, the Man Repeller has some do’s and dont’s you should really check out. I am terrible at TBT so I have chosen to not longer participate in it. Also, my really uncool cousin started doing it because she saw it on the Today Show. That’s when you know it’s time to switch to Selfie Saturday. *This blogger doesn’t condone watching movies soley for the purpose of cute or attractive actors. Posted in Films and tagged Entertainment, Required Reading on April 4, 2013 by coffeeandwinter.